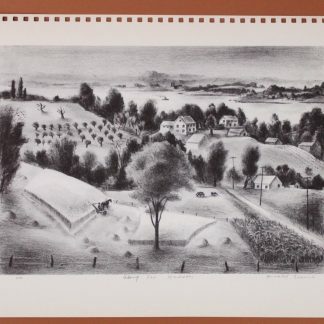 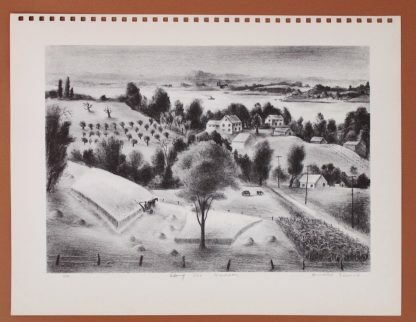 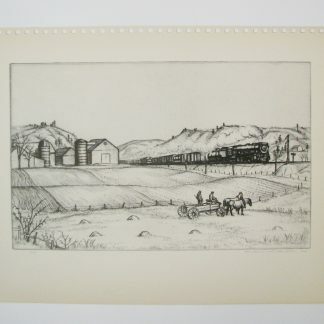 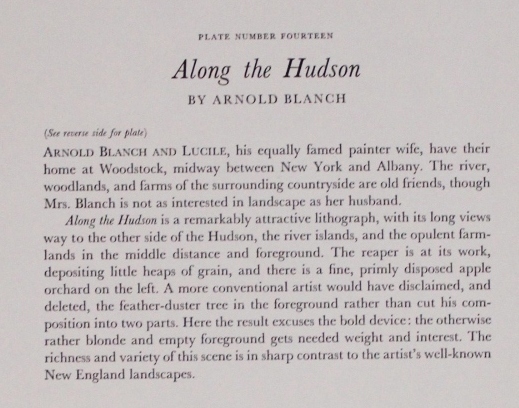 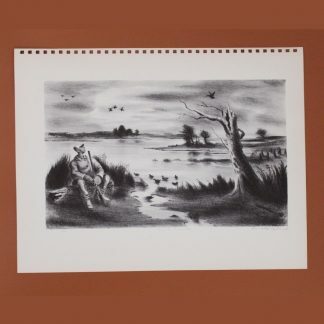 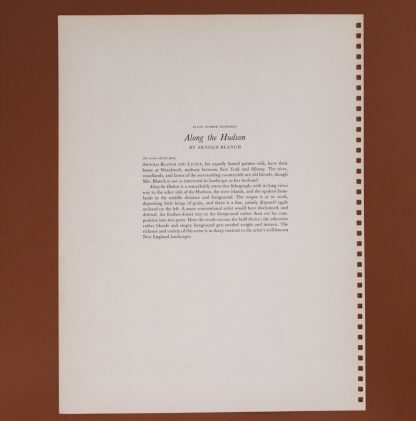 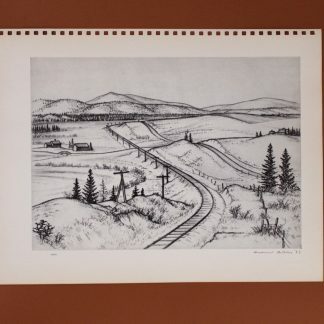 Along The Hudson By Arnold Blanch Unframed Book Plate Reproduction from 1939. This is a unframed bookplate. 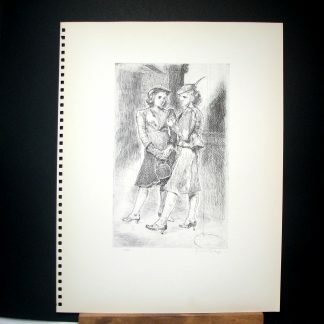 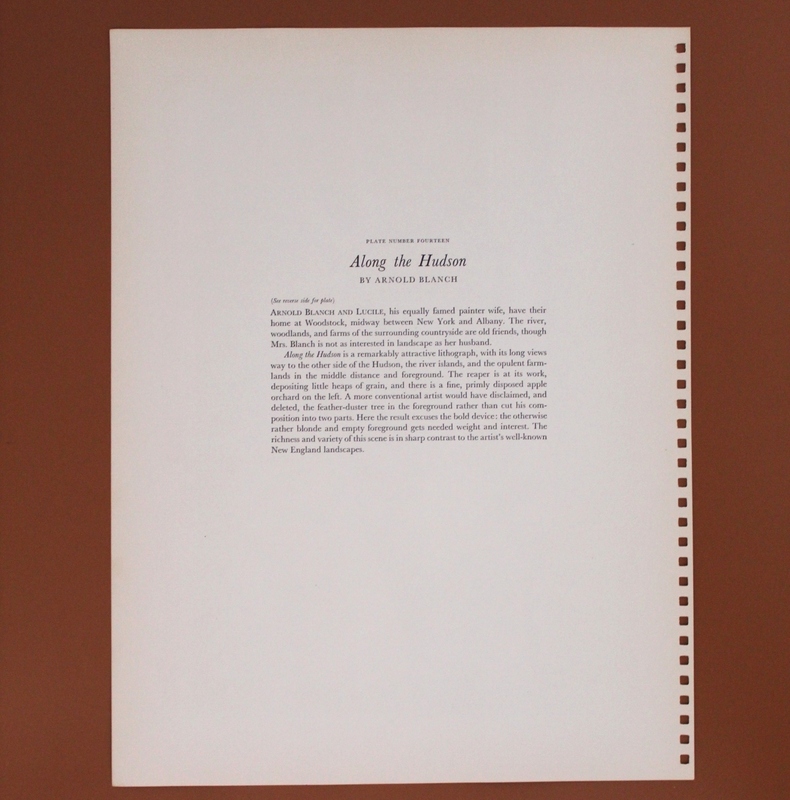 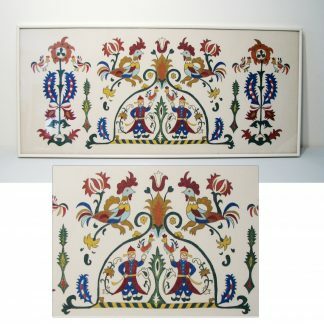 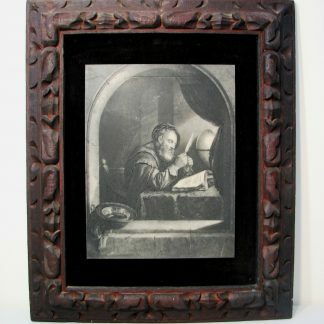 It measures 12 3/4″ x 10″ and fits very nicely in a frame 14″ x 17″. 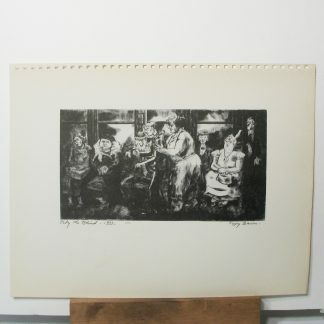 His modernist paintings are associated with the Social Realist movement. 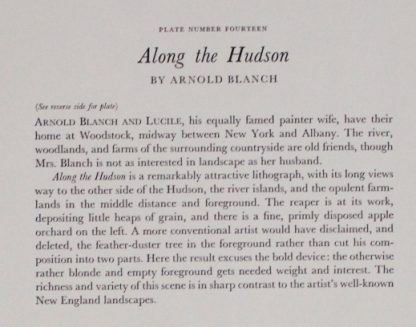 By the 1920s Blanch began to achieve recognition for his paintings and lithographs of landscapes and still lifes. 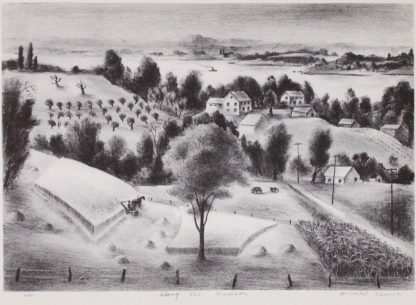 During the 1930s in New York, Blanch worked in the WPA on various mural projects, including “The Harvest” at the United States Post Office in Fredonia, New York. 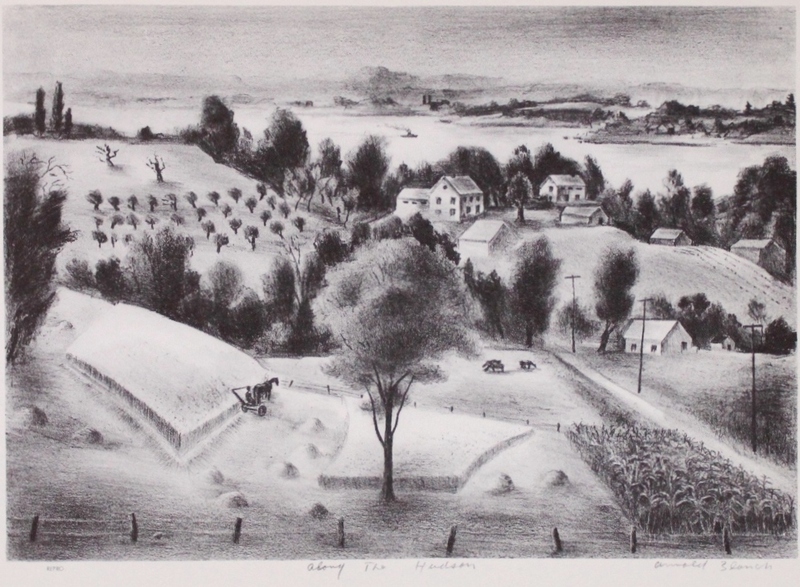 His paintings are in the permanent collections of the Metropolitan Museum of Art; the Museum of Modern Art in New York City; the Cleveland Museum of Art; the Whitney Museum of American Art; the Smith College Museum of Art; the Sheldon Museum of Art; the Woodstock Artists Association and Museum (WAAM); one of the oldest American artists’ organizations, and dozens of others.